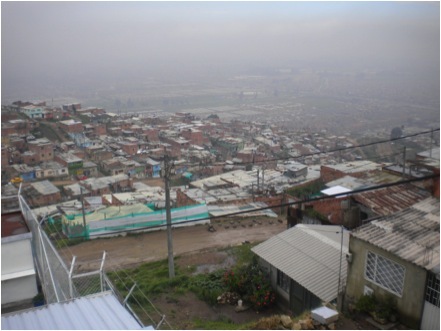 Dr Helen Berents recently published the article Children, violence, and social exclusion: negotiation of everyday insecurity in a Colombian barrio in Critical Studies on Security. Discourses on in/security are often concerned with structures and meta-narratives of the state and other institutions; however, such attention misses the complexities of the everyday consequences of insecurity. In Colombia’s protracted conflict, children are disproportionately affected yet rarely consulted, rendering it difficult to account for their experiences in meaningful ways. This article draws on fieldwork conducted with conflict-affected children in an informal barrio community on the periphery of Colombia’s capital, Bogotá, to explore how children articulate experiences of insecurity. It examines how stereotypes of violence and delinquency reinforce insecurity; how multiple violences impact young people’s lives; and how children themselves conceive of responses to these negative experiences. These discussions are underpinned by a feminist commitment of attention to the margins and engage with those for whom insecurity is a daily phenomenon. The effects of deeply embedded insecurity, violence, and fear for young people in Colombia require a more nuanced theoretical engagement with notions of insecurity, as well as the complexities of connections and dissonances within everyday life. The article is part of the Special Issue on Children, childhoods, and security studies.